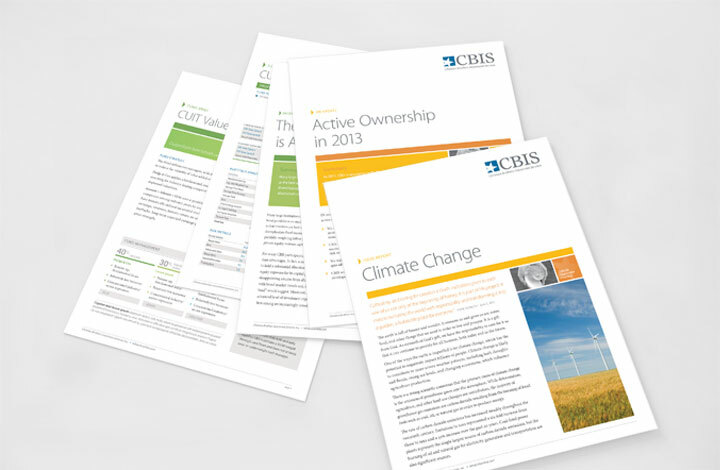 Over 35 years ago, CBIS helped pioneer socially responsible investing (“SRI”). The practice, which seeks investment returns without sacrificing moral principles, has grown exponentially since then. In today’s crowded SRI marketplace, CBIS continues to stand apart with its unique approach. SPINE has worked with CBIS for more than a decade to strengthen its position as a leading asset manager in the SRI space. Over the years, our holistic approach has impacted everything from brand strategy to corporate, marketing, and investor communications—and even operations. 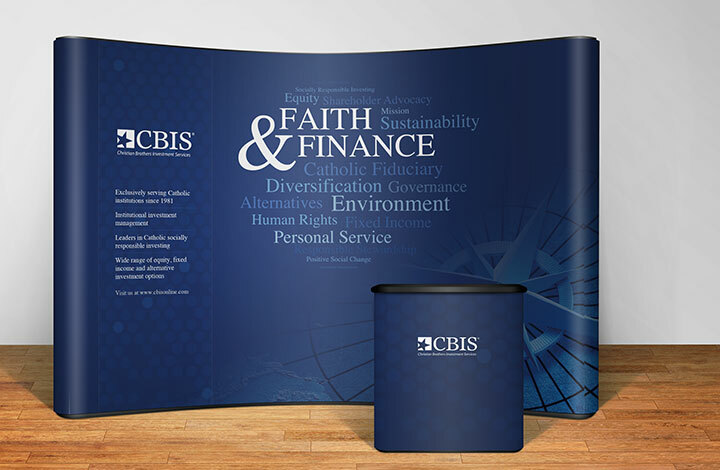 CBIS is a faith-based organization, but first and foremost it is a financial firm. When SPINE led a comprehensive rebranding initiative, it was critical to convey the professionalism and sophistication of an institutional asset manager. At the same time, the new logo needed to highlight the firm’s affiliation with the Lasallian order, a key source of prospective investors. CBIS also sought to communicate its evolution following a leadership change. SPINE developed a new logo featuring a five-point star—a traditional Lasallian symbol—that signaled the start of a new era. An identity alone is not a brand. 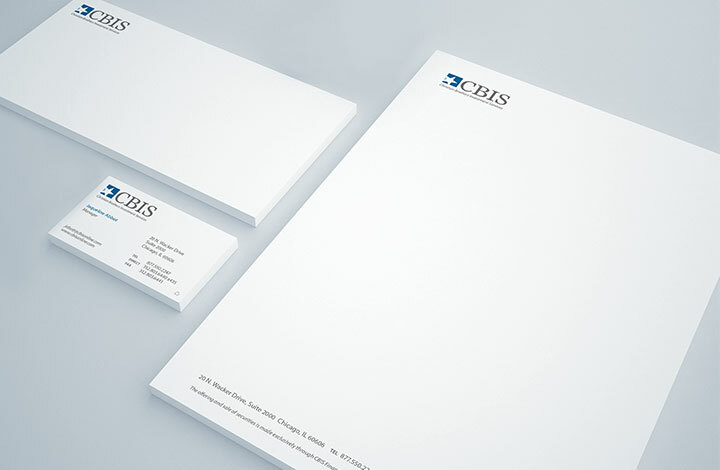 Color palette, typefaces, and photographic styles were carefully considered to reflect CBIS’ sophistication and reinforce its marketplace position. We defined the firm’s core branding elements, and then codified them in corporate identity guidelines to ensure consistent usage by internal departments and outside suppliers. 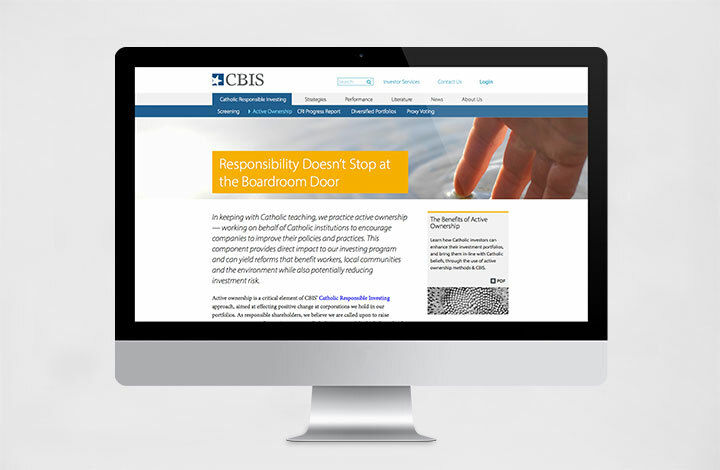 Institutions that invest with CBIS are driven by a shared set of principles. They take comfort in seeing their investments affect positive change in the world, through CBIS’ corporate activism. Of course, they also want to know how their investments are performing. 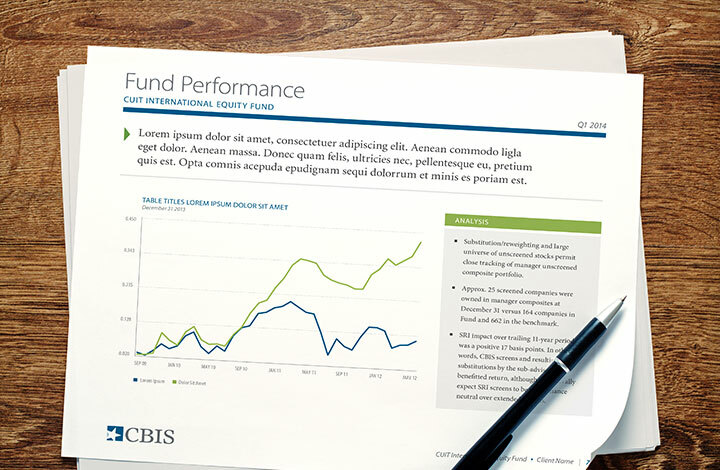 We develop communication programs that help CBIS keep investors informed on both fronts.  Consultants are often the gatekeepers to investors. Maintaining contact and keeping them informed is crucial. SPINE developed tools to help CBIS’ sales force build relationships with this key target audience, through both performance reporting and content marketing.